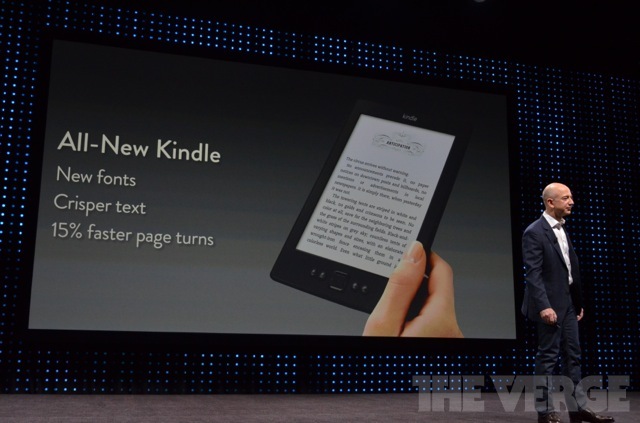 Amazon has just unveiled the Kindle Paperwhite. It’s a new thin e-reader with revolutionary Paperwhite screen where whites are whiter and black are blacker. The new (capacitive) display offers 25% more contrast and 62% more pixels, reaching 212ppi for an even crisper text. 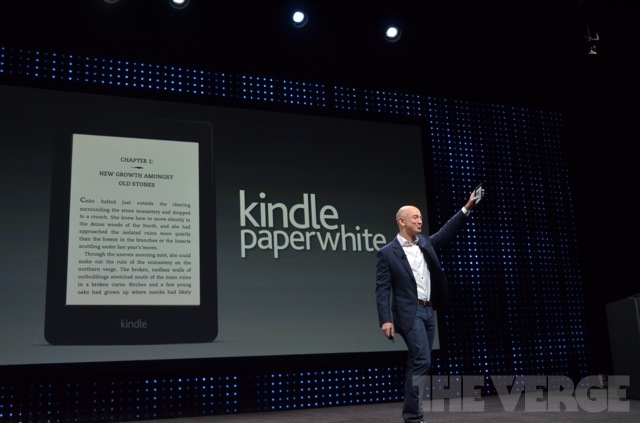 Thanks to the new technology, the new Kindle Paperwhite is just 9.1mm thin and weighs 213 grams. Among the most touted feature is the screen lighting system. Along the screen there is a patented light guide systems that makes use of sort of “flattened out optical fibres”. The expected Kindle Paperwhite battery life is 2 months, even with the light on. In fact, Amazon’s CEO, Steve Bezos expects most users will leave it on all the time. There are a bunch of new features too – X-Ray for searching about the density and chapters specific characters occur; Time to Read showing you the time you’d need to finish a chapter or the whole book based on your reading speed; also cloud storage; and all the books are just a 60-second download away. The Kindle Paperwhite will come in two versions – $119 Wi-Fi only and $179 for a 3G model (no contracts, covers over 100 countries worldwide). They’ll launch on October 1. The basic Kindle reader (the one without touch) also gets updated with new fonts, crisper text and 15% performance bump with the page turns. And it now costs only $69 (with special offers, we’re guessing). Awesome! Amazon’s even is still under way so stay tuned for even more news.